Back-to-back bleaching events in 2016 and 2017 caused a great die-off of coral in Australia's Great Barrier Reef that's may have forever changed the makeup of the reef — and made it made less resilient than it's ever been. Austalia's great reef isn't the only one that's been damaged. Heat waves experienced around the world leading up to the disaster on Australia's great reef killed about 70 per cent of the world's corals. 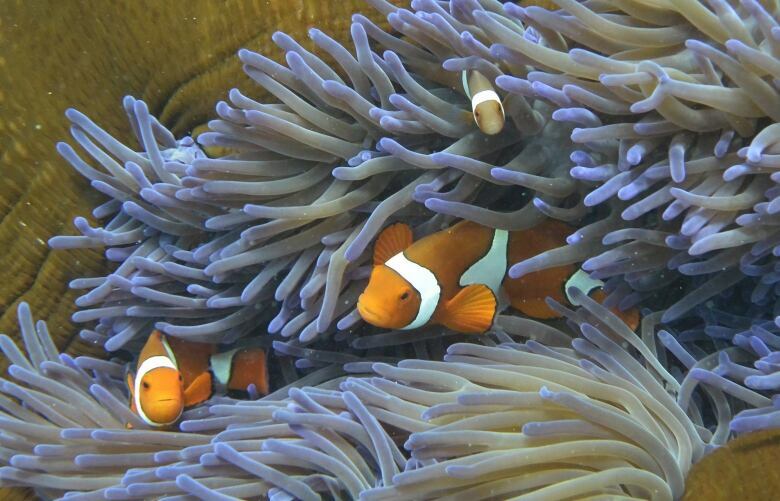 Normally reefs can tolerate some level of temperature-driven bleaching, and restore themselves. But as our planet warms, heat waves are becoming more frequent, resulting in mass coral casualties and recovery just can't keep up. "In 2016 and 2017, we saw for the first time, back-to-back coral bleaching in two consecutive summers that killed about one in every two corals along the length of the Great Barrier Reef," said Terry Hughes, a professor of marine biology and the director of the Australian Research Council Centre of Excellence for Coral Reef Studies at James Cook University. Coral reefs around the world were already in trouble before these most recent bleaching events. Pollution, over-exploitation, and in particular, rising temperatures due to climate change, have devastated these vital ecosystems, which play a vital role in our ocean's ecosystems and fisheries around the world. Hughes said in conversation with Quirks & Quarks host Bob McDonald that some coral species rebounded better than others, which affects the ability of the reef to naturally restore itself. "So everything we thought we knew about how the Great Barrier Reef works, what its mix of species, are and how far they disperse when they're juveniles — all of that has changed. It's a whole new system," said Hughes. When corals reproduce, they do it two different ways, depending on if they are brooding or spawning coral species. "Coral that broods produces large larvae that settle very quickly. 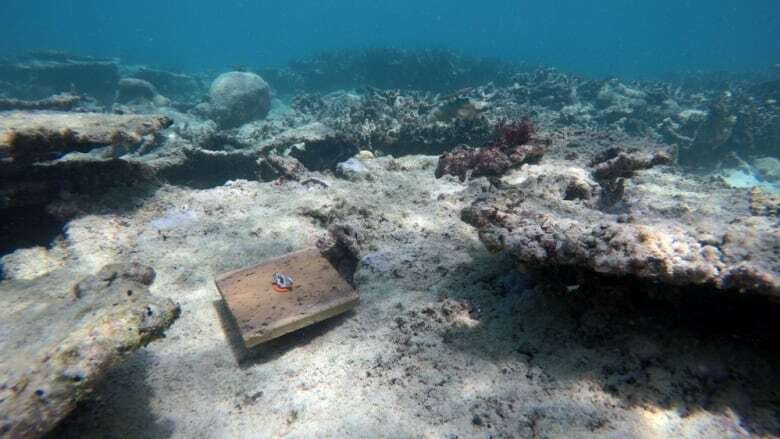 They are released by the adult coral and they float in the water just for 12 to 24 hours and then they reattach as baby corals onto the same reef that they're produced on," said Hughes. "Spawning species, on the other hand, release eggs and sperm into the water where they fertilize and they float around for up to a week before they start to settle," added Hughes. "And during that week long period, they can travel quite a long distance (...) from where they were produced." Historically, the Great Barrier Reef was a highly connected system, which is important so, "damaged reefs can be rescued by a supply of baby corals from the undamaged reefs." But with the mass die off of coral, that interconnectedness is lost because the northern part of the reef is now dominated by the brooding species that don't travel far. "The resilience of the Great Barrier Reef is different today, it's less today, than it was just three years ago," said Hughes. A major barrier to any attempt to restore the reefs to increase their biodiversity is the sheer scale of project that'd be required to make a dent in the restoration. That's where scientists at SECORE, an international non-profit organization focused on coral reef restoration comes in. 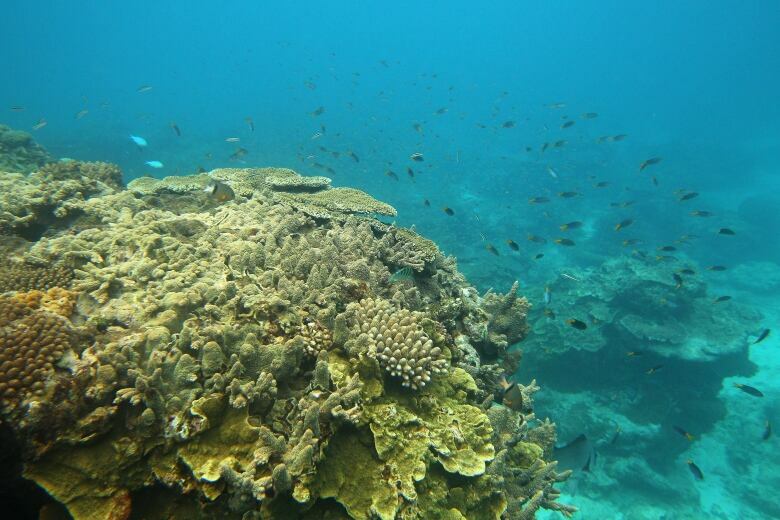 "I'm not willing to give up on corals," said Margaret Miller, the research director for SECORE. "And I do believe, if we don't engage in active restoration, we will lose coral reefs completely." They're currently working on ways to improve bottlenecks in the coral's natural reproducctive cycle — from fertilization to delivery back onto the reef — by doing what Miller calls, "coral midwifery." SECORE's been tested their methods for improving the corals chances for survivability in recent years in the Caribbean. She hopes by the time we finally curb our greenhouse gas emissions to slow the warming of our planet that they'll have all the kinks worked out to help with the restoration efforts. "We may not get back to the coral reefs of the past, in terms of extent or diversity, but we're working very hard. And I think we have a chance to retain coral reefs and the services that they provide human society at a meaningful scale within our oceans," said Miller.